The Model of 1903 Springfield Rifle is an odd branch of firearms history, in that, it’s one of the only legally citable cases of plagiarism and Intellectual property theft committed by a Nation’s Federal Arsenal in the 20th century. The Springfield Model 1903 came out of the US Army’s need for a new infantry rifle to replace the M1892 Springfield Krag Rifles. While theoretically fine rifles, the Krag ran afoul of it’s loading gate mechanism in combat, in particular the Spanish-American War made it’s cumbersome nature prominent against the Spanish Mausers(notably The Battle for San Juan Hill). 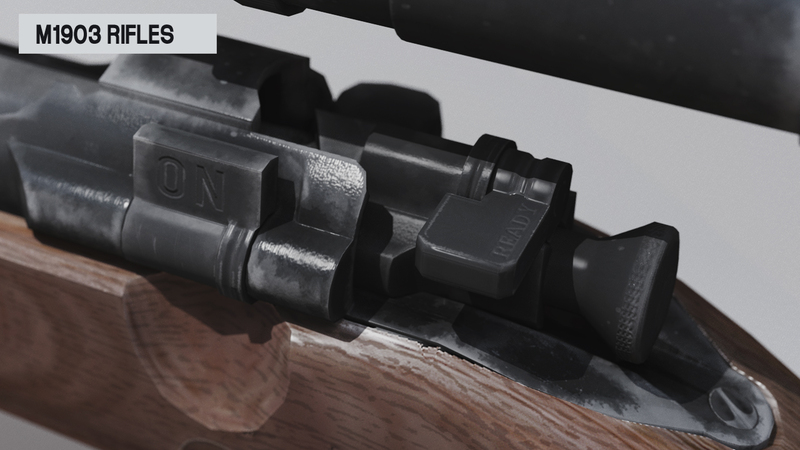 In the aftermath of the war, the US Army and Navy went straight to the throat of the problem and began a massive modernisation project, and the keystone for the infantryman was the adoption of a new rifle, to be developed by the Springfield National Armoury. One capable of firing more capable rounds expected of rifles of 1900, and was less cumbersome to feed and operate in combat. The rifle’s development took beneficial design elements from the Krag Rifles and overlayed with the feed mechanics of Mauser pattern action. The first offering, the 1901,was turned away by the Army,but it only took them a year to revise the design to a level of satisfaction. The 1903 incorporated further design elements from de-constructed Spanish Model 93 Mausers, that despite fundamental differences in operation (notably the Two-piece firing pin of the Krag versus the Mauser’s one), Mauser Werke successfully litigated the US Government for US$250,000 un-adjusted for inflation and won. The A1 of 1929 model incorporated two significant changes to the rifle from the stock 1903, or 1903 Mk1 – the rifles were fitted with “C” Stocks (stocks with a more pistol-like grip behind the trigger), and the complete omission of support for the Pedersen device. Of worthy note too, the 1903A1s used by the USMC for sniper roles were built off commercial match-grade(1903NM) receivers and barrels, rather the military rack-grade models. Though the Springfield M1903A1 was officially retired by the Army in 1939, the USMC continued using these specifically through WW2 as a service rifle and into Vietnam as a sniper’s rifle, in limited capacity. Additionally, during WW2, New-manufacture Springfields were built by Remington and Smith-Corona for the Army as A3 and A4s, though both contracts ceased with WW2-VD.